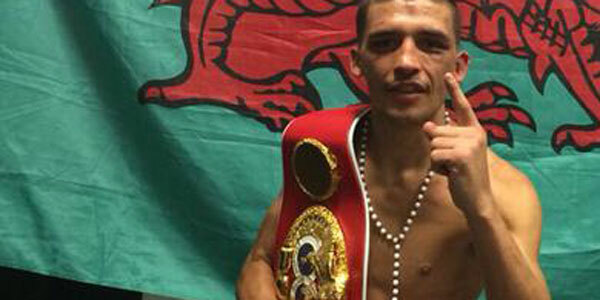 Barry’s Lee Selby is looking forward to an exciting 12 months ahead, starting on December 9 at London’s Copper Box Arena where he defends his IBF Featherweight title against undefeated Mexican Eduardo Ramirez. There has been much talk of a clash between Josh Warrington and Lee Selby for the mid months of 2018, but Selby’s focus is on the job at hand against Ramirez. The Welsh stylist opened up about his preparations ahead of his clash with Ramirez on a card that also sees IBF World Super Middleweight title James DeGale defend his World title. Selby stated, “I’m solely focused on Eduardo Ramirez at the moment. Training has been going well with the team as always and I’m really looking forward to fight night. “Ramirez is an undefeated fighter and is ranked highly with the IBF so he is no joke. With Selby boxing on BT Sport, the base of Carl Frampton and his mandatory challenger Josh Warrington, it is natural that many are talking up a fight between Selby and the pair. Selby weighed in on his plans post-Ramirez. The Welsh Wizard said, “I want to be in big fights that’s what I’m in boxing for. I’m not looking past my opponent on December 9 but whatever the team says is next I’m happy with. On December 17 Selby will be taking the boxing gloves off to face off against a Cardiff City’s Aron Gunnarsson, Lee Peltier, Anthony Pilkington and Joe Ralls at Darts! The event which will take place on December 17 will see Selby team with brother Andrew and Welsh Boxing greats Nathan Cleverly and Steve Robinson in an All-Star night of Darts to raise funds for 2 Wish Upon A Star Charity. The South Wales Featherweight gave his take on his plans after fight night on December 9. The Barry native stated, “My dad’s partner bought me a dart board so I’ve started practicing! There are a few holes in the wall but after two hours of practice, I’m getting better!